Address: Janubio, s/n, Playa Blanca (Lanzarote), Islas Canarias. 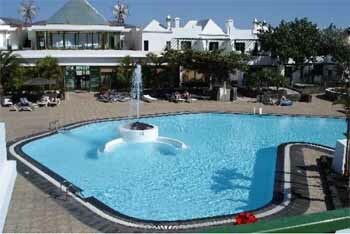 THB Royal is 400 metres from Playa Blanca Beach, in southern Lanzarote. It has 2 outdoor pools, terraces and pretty gardens. The low-rise complex offers spacious, bright rooms with air conditioning, a flat-screen TV and private bathroom. THB Royal also has a restaurant, serving international and local food. The complex offers a tennis court and a children’s play area. There is also a 24-hour reception, with currency exchange and car rental service. The hotel is a short walk from the Marina Rubicon Shopping Centre, and the centre of Playa Blanca beach. This charming fishing village has many bars and restaurants, and wonderful views across the sea to Fuerteventura. The property doesn't accept American Express as a method of payment or to guarantee reservations. Please note that once the guest has checked in and paid for the stay, a refund will not be given in the case of early check-out.